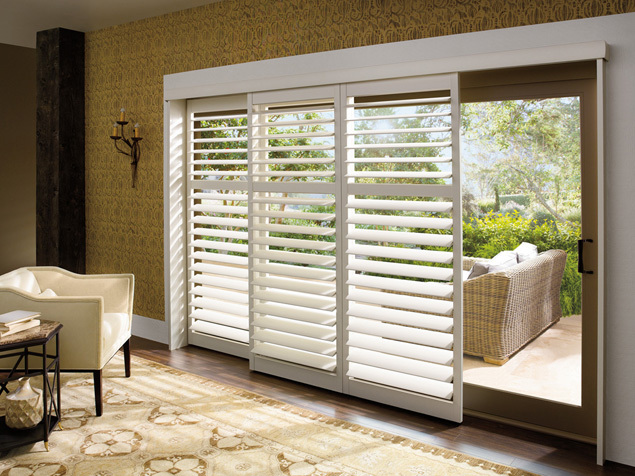 Hunter Douglas has an amazing product called LightLock. This innovative new system provides achieves “unparalleled darkness” by completely sealing off any light from your windows. 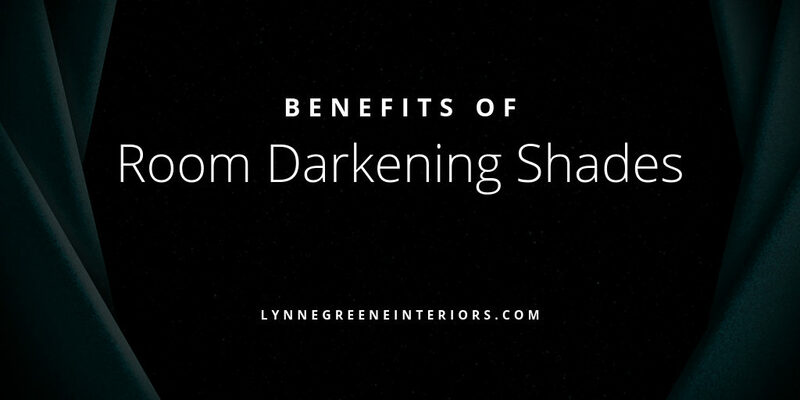 Here’s a look at the benefits of room darkening shades from Hunter Douglas. Search for sleep studies and you will come across many that mention the disruptive effects of light on sleep. Add to this the fact that the sun comes up earlier during the spring and summer months. By blocking out natural light from your windows, you can achieve deeper and higher quality sleep. UV rays are not only bad for your skin, they are also bad for your furniture and other belongings. 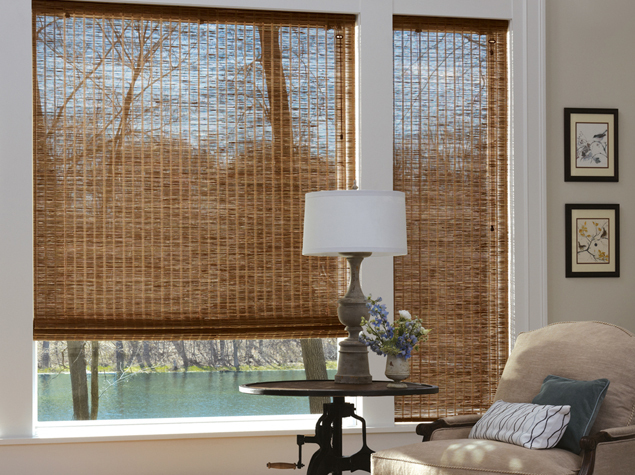 Room darkening shades from Hunter Douglas traps and blocks out light, preventing harmful UV rays from entering your home. This promotes better health and prolongs the life of your belongings. 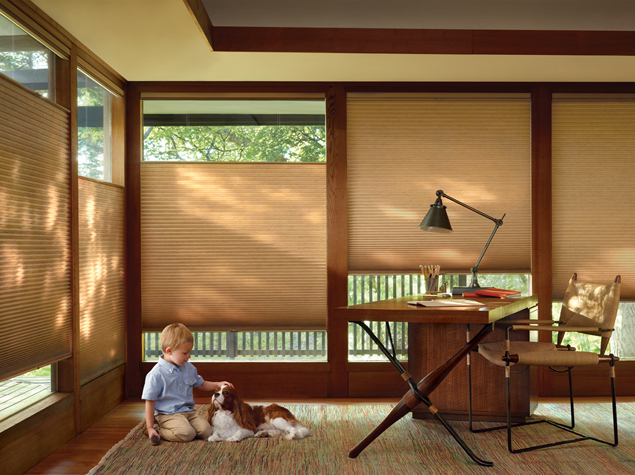 Cellular shade designs include pockets that trap air. Since these new room darkening shades are designed to cover all gaps in your windows, it helps to block cold air from entering your home. This will save you money in home energy heating costs during the cold winter months in Massachusetts. If you’re a movie lover, then you’ve experienced the pain of window glare when watching movies during daytime hours. 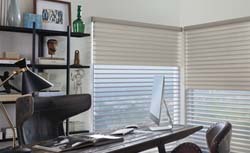 The LightLock technology of room darkening shades Hunter Douglas shades allows you to create a move theatre-like environment in your home and enjoy unobstructed viewing. 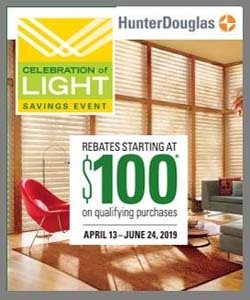 For more information on LightLock Room Darkening Shades from Hunter Douglas, stop by our Burlington, MA showroom. 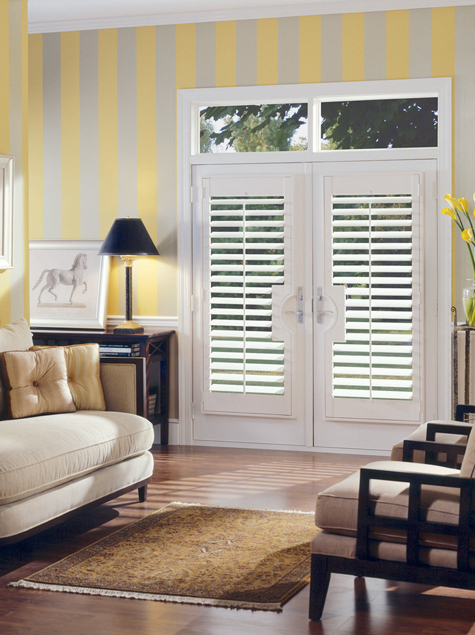 We can also assist with all of your window treatment needs. Don’t forget to ask us about our other Massachusetts interior design services.